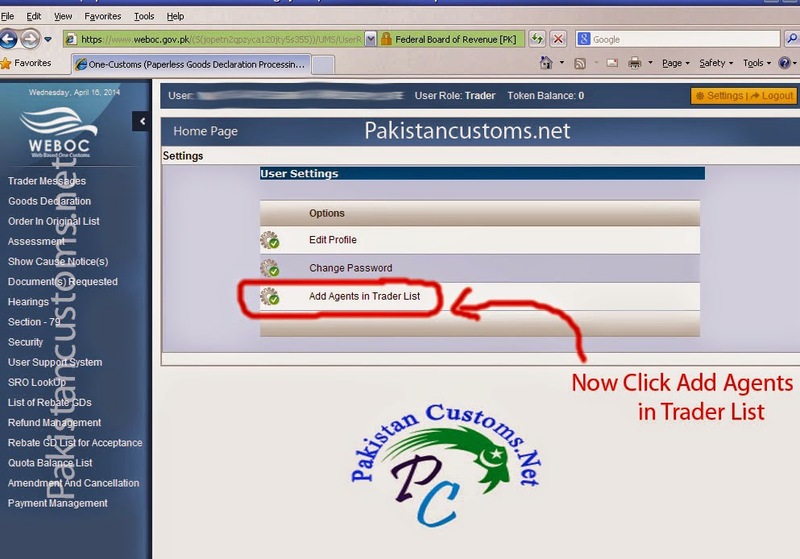 Often it happens when Importer and Exporter want to change CC (Customs Clearing) agent or add a new one so they provide their WeBoc id and password to clearing agent and CC agent do this job. Even though it’s not a rocket science, In few steps importer or exporter can do this easily. Therefore, Today In this article we will learn how to add Customs Clearing Agent ‘s name in WeBoc. 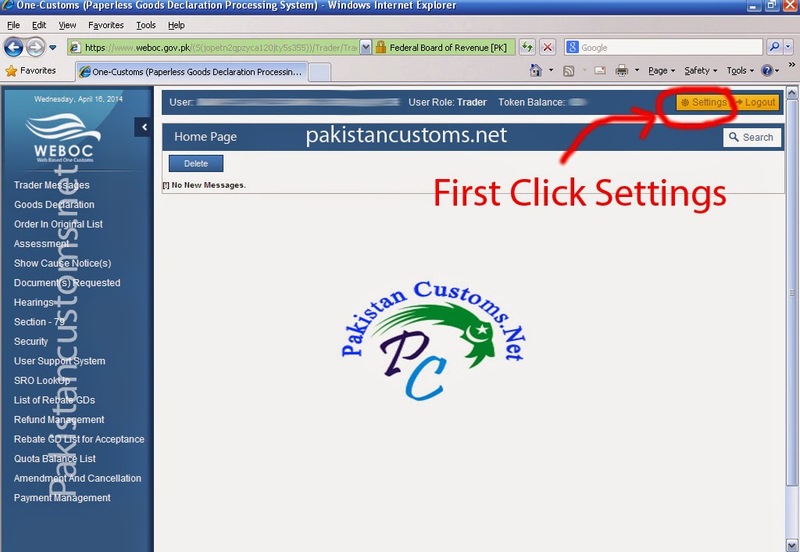 First of all Click Here and Login in WeBoc (Web Based One Customs) using your username and password, After login, you see a page as shown in below image now click setting as indicating in the image. Now select Agents Location as can be seen in the below picture ! 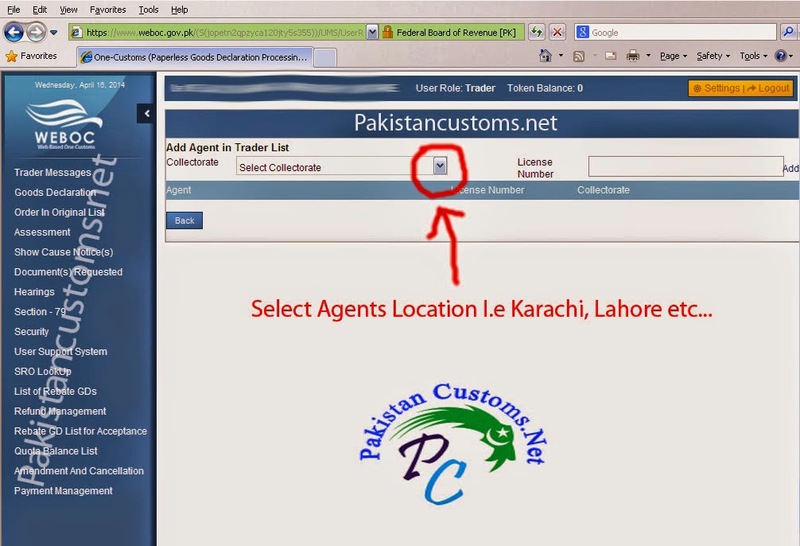 Supposed agent ‘s location is Karachi so we select Karachi Customs. Now we will add customs clearing agent license number which is provided by clearing agent or asked them their License no. (CHAL No.) and once you know agents’ license number so write in the box as mention in the image below and click the add button. 1-Procedure To File WeBoc GD in WeBoc System In Pakistan. 2-Check Container Releasing Status In WeBoc System. 3-Container Already in Customs process (How To Solve This Issue). Note:All the Information in this Article Just For Information Purpose!